The Broken Frontier Small Press Yearbook 2016 – a showcase celebration of this column’s ‘Six UK Small Press Creators to Watch in 2015‘ – debuts in print this month featuring the work of that fabled half dozen of Rozi Hathaway, Jess Milton, Danny Noble, Emma Raby, Alice Urbino and Adam Vian, alongside a whole host of established British-based comics creators who began their careers in the world of the small press. Over the next fortnight, to commemorate this exciting event, I will be talking to those six creators about their Broken Frontier Small Press Yearbook contributions, looking back with them on their year of dedicated coverage at BF, and asking them how their practice developed in that time. Today it’s the turn of Rozi Hathaway whose second solo project Njálla spectacularly reached its Kickstarter target in just a few short hours on its launch day a couple of weeks back. 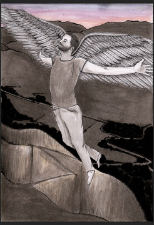 Rozi came to prominence in 2014 as part of the line-up of artists on Ravi Thornton’s critically acclaimed graphic memoir HOAX Psychosis Blues, alongside such luminaries as Bryan Talbot, Karrie Fransman, Hannah Berry, Mark Stafford and Rian Hughes. 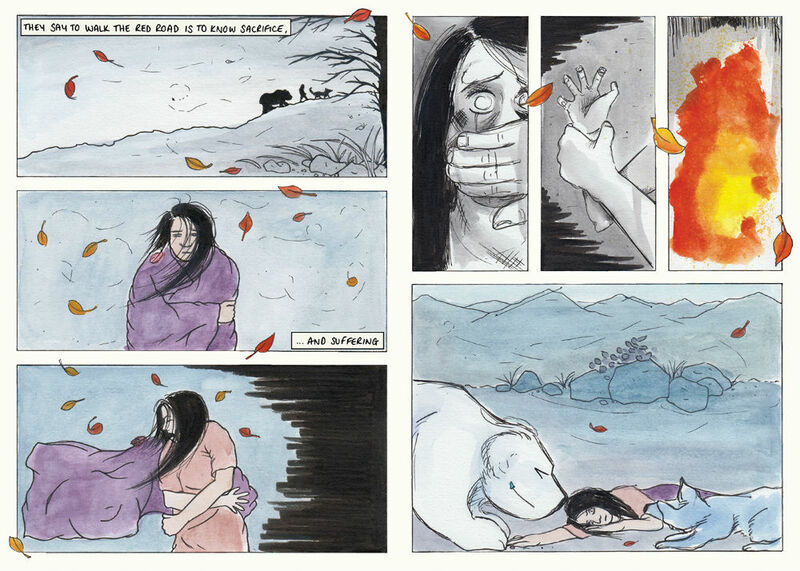 Last year she self-published The Red Road – the story of a Native American girl’s spiritual quest – which went on to get rave reviews from a number of comics sites. She was also a regular name in anthologies including A Bit of Undigested Potato, Dirty Rotten Comics, Home and Sneaky Business. ANDY OLIVER: Can you give us a short spoiler-free summary of your story in the Broken Frontier Small Press Yearbook? 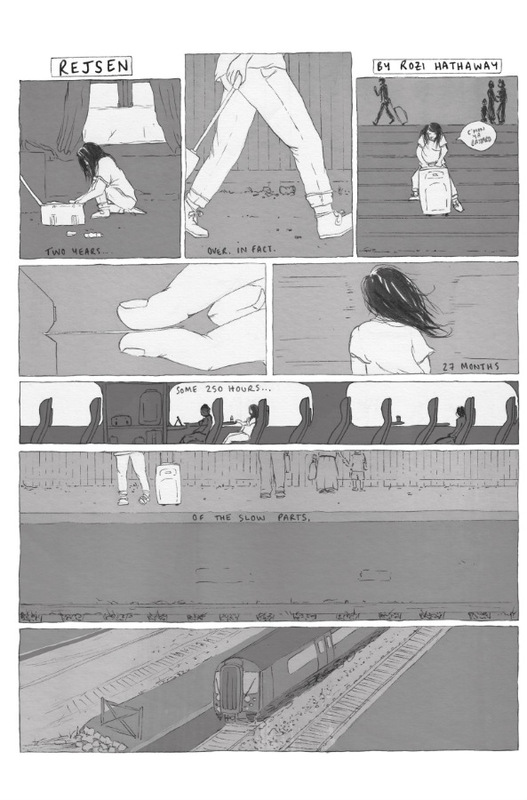 ROZI HATHAWAY: ‘Afloat’ (below) is a story about finding friendship and comfort in the face of life’s harshest realities. I can’t really say any more without spoiling it, but I’m so excited for people to read it! 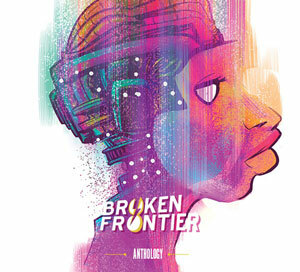 How does it fit into the anthology’s theme of “breaking frontiers”? It’s about breaking frontiers into a happier place, overcoming pain and suffering to still find joy. 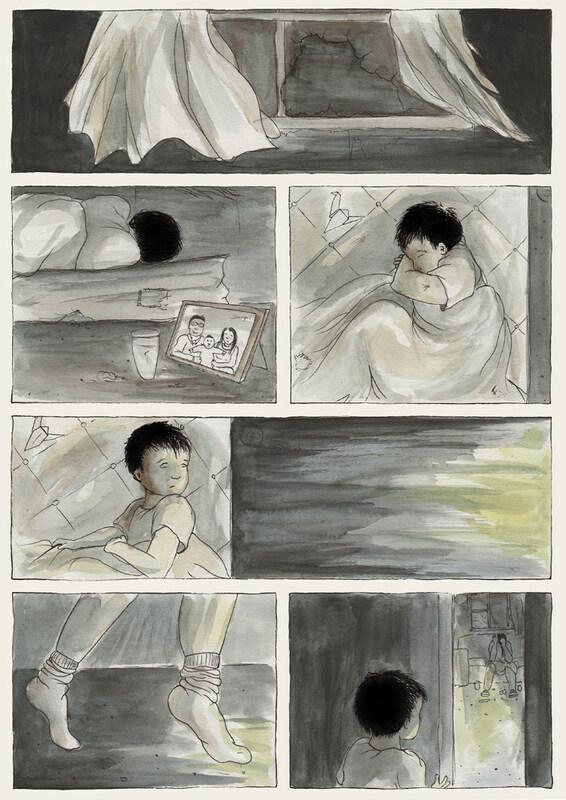 I had already written and drawn the story when someone very close to me suddenly passed away, but painting through despite the grief makes this story all the more special to me, and hopefully to the viewer also. How do you feel your comics practice evolved in 2015? Well! It’s certainly adapting all the time, that’s for sure. I think since this ten-page piece for the Yearbook my painting style has become more sensitive, and I’m more aware of creating textures. The Red Road had great washes of colour, but my drawing/painting is now catching up to my writing, in terms of atmosphere and emotion. When I interviewed all of the ‘Six UK Small Press Creators to Watch’ last year I asked you where you wanted to be at the end of 2015. Do you feel you achieved those objectives? What went particularly well for you in the comics world in 2015? What were your most memorable highlights? My highlights of 2015 were definitely being included in Dirty Rotten Comics – what an honour! Also, with that in mind, being accepted into the wonderful Art Aid Nepal anthology HOME was a very special moment for me. Being stocked in a whole host of wonderful UK comics shops, having my first review, launching a zine, going to comics festivals… Where does the list end? 2015 was a wonderful year for me, comics-wise. Where could readers see your work published in 2015? 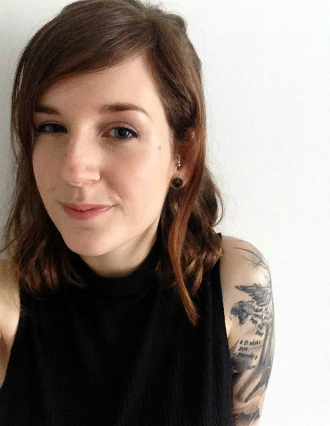 I’ve listed several above, but also Keara Stewart’s fantastic A Bit of Undigested Potato, and also in the collaborative zine Down to Your Skivvies, of which a second issue has just been released. My own publications can be found on my Etsy store, and there’s a section on my website dedicated to my contributions in other anthologies and zines. What’s coming up from you next? What future projects can you share with us? 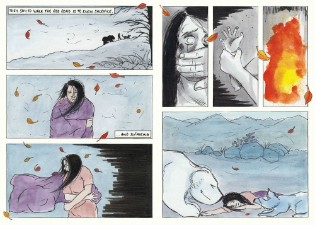 I’m currently finishing up a project which is my lengthiest yet, both in research time and page count; Njálla, a 48-page comic based on myths and legends of the Sámi, an indigenous culture inhabiting the Arctic Circle of Northern Europe. The project is currently running on Kickstarter and will be on sale from early June, both online and in small press-friendly shops. After that’s released into the wild I’ll be focusing on finishing up my degree, with a few other small projects in mind for later in the year.. If you could give the new 2016 ‘Six to Watch’ creators one piece of advice for their year in the spotlight what would it be? Use every single moment of glory to create new things and show them off to anyone who’ll listen. Without the Six to Watch title I probably wouldn’t have had the faith to create comics zine Sneaky Business, or try out for Dirty Rotten Comics, so go crazy! And most of all, enjoy it. 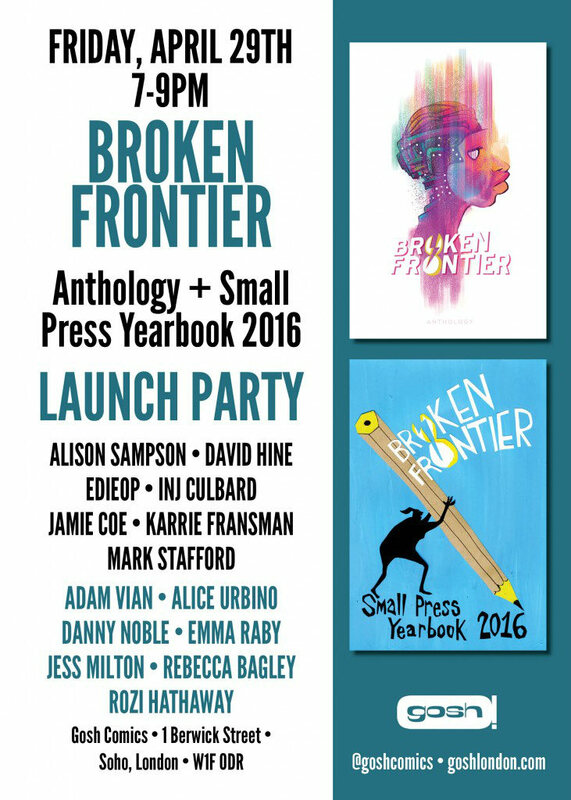 The Broken Frontier Small Press Yearbook launches at London’s Gosh! 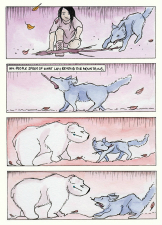 Comics on April 29th and Rozi Hathaway will be signing copies on the night. Full details here and on the Facebook event page here. Pre-orders are available online here priced just £6.00 plus postage. 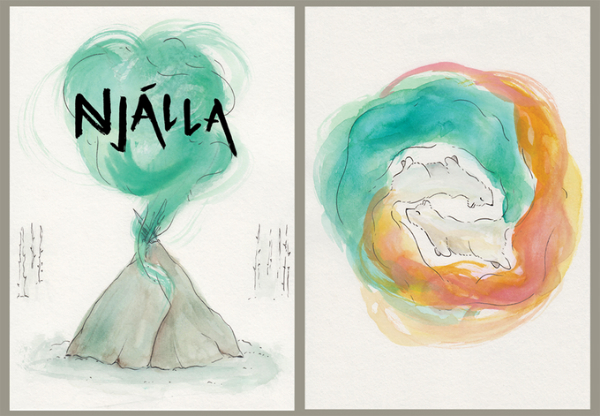 You can back Rozi Hathaway’s Njálla on Kickstarter here. 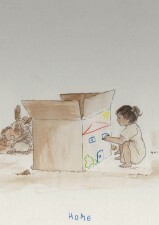 For more on her work visit her website here and follow her on Twitter here. You can also visit her online store here. 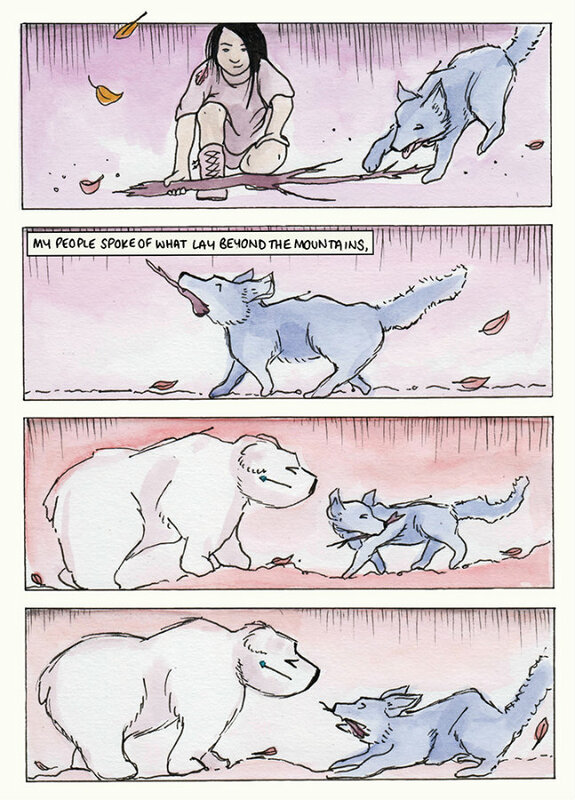 A View from the Frontier – More Broken Frontier Small Press Yearbook Sneak Peeks as the Dreaded Deadline Doom Strikes! Broken Frontier Small Press Yearbook 2016 – Pre-Orders Now Open!